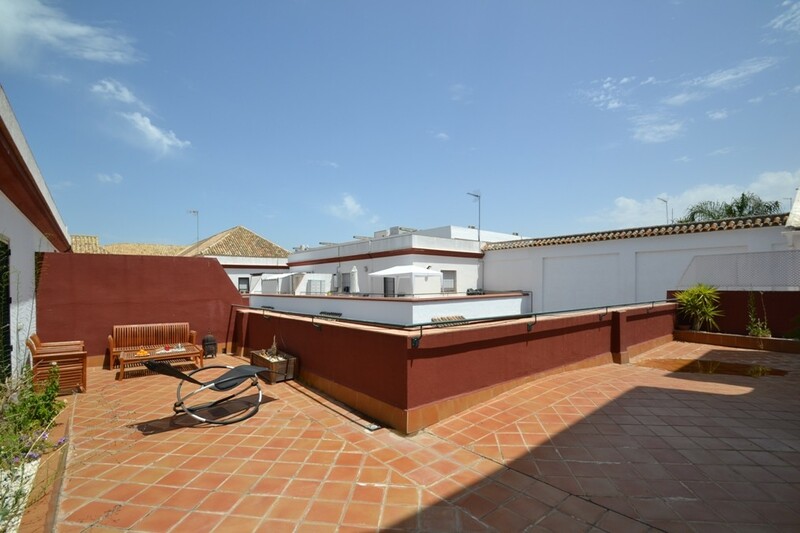 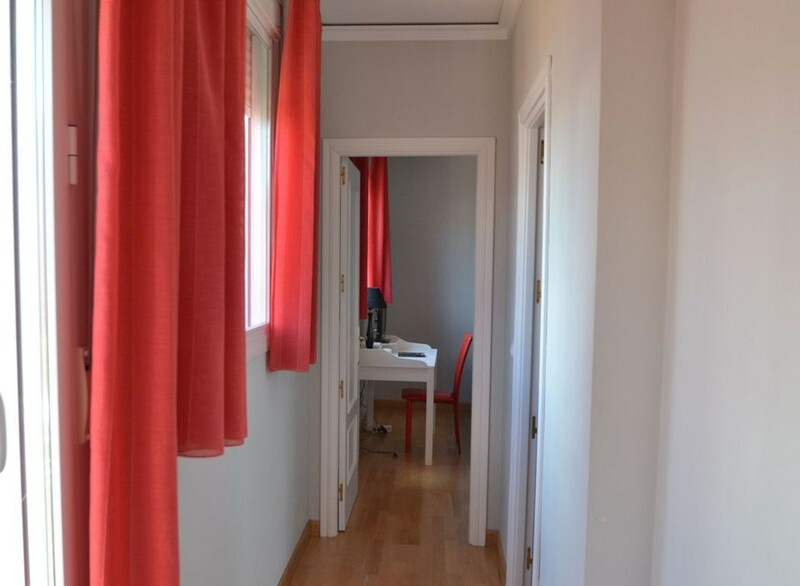 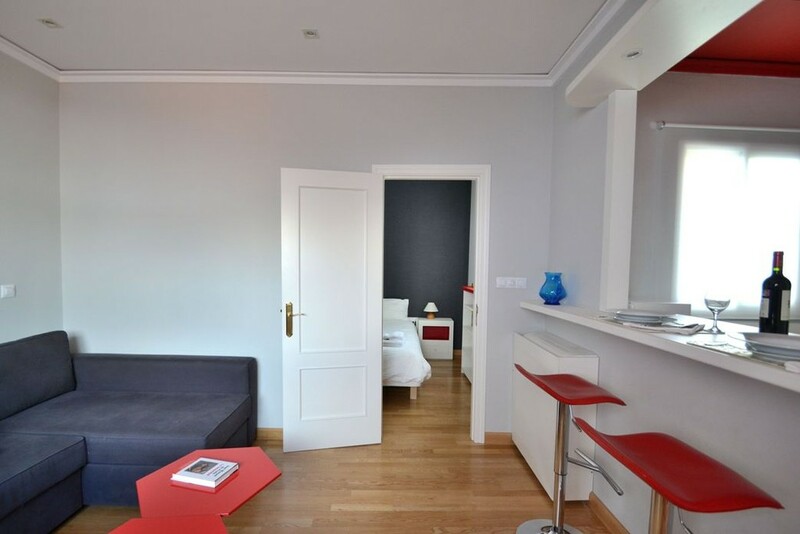 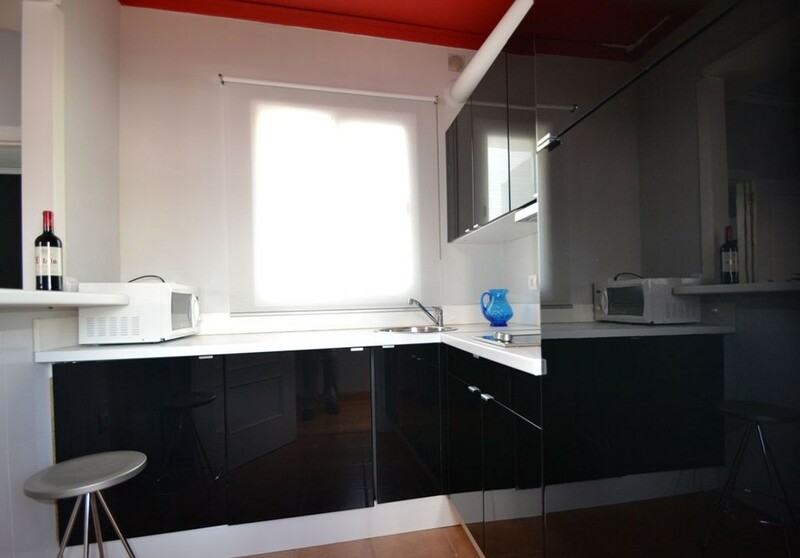 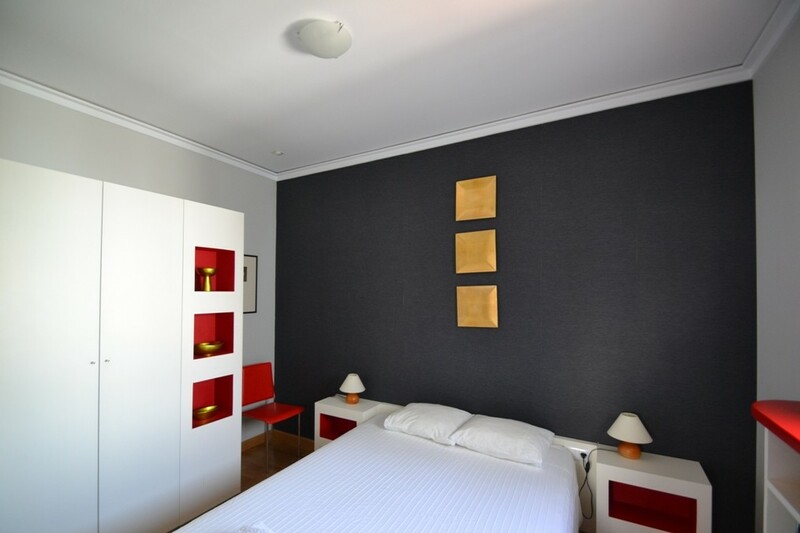 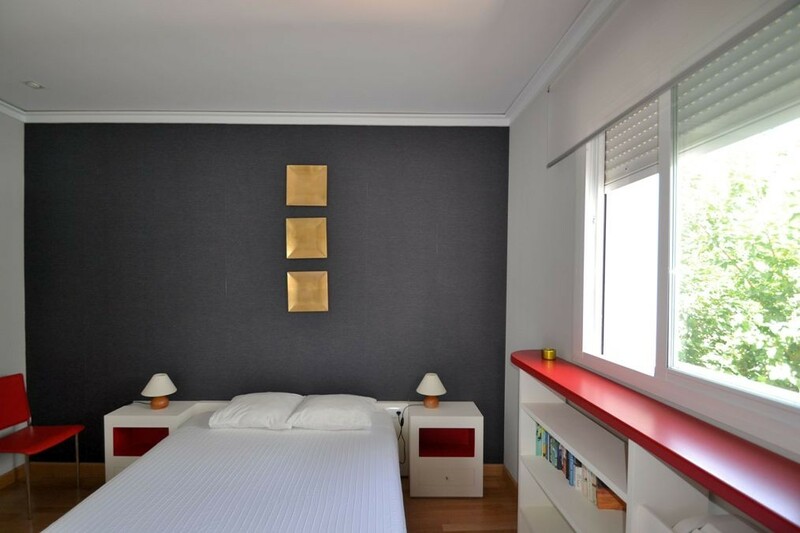 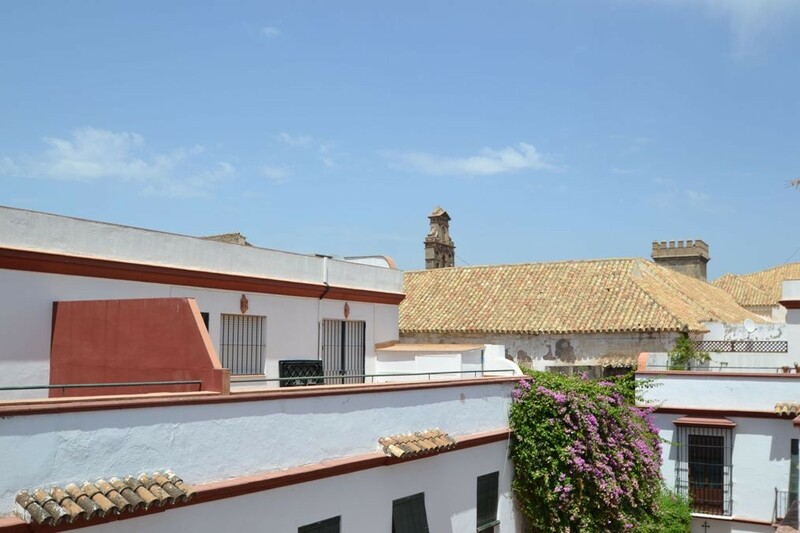 Alameda Terrace 2 is one-bedroom holiday apartment with a large private terrace, located close to the popular Alameda square in the historic centre of Sevilla. 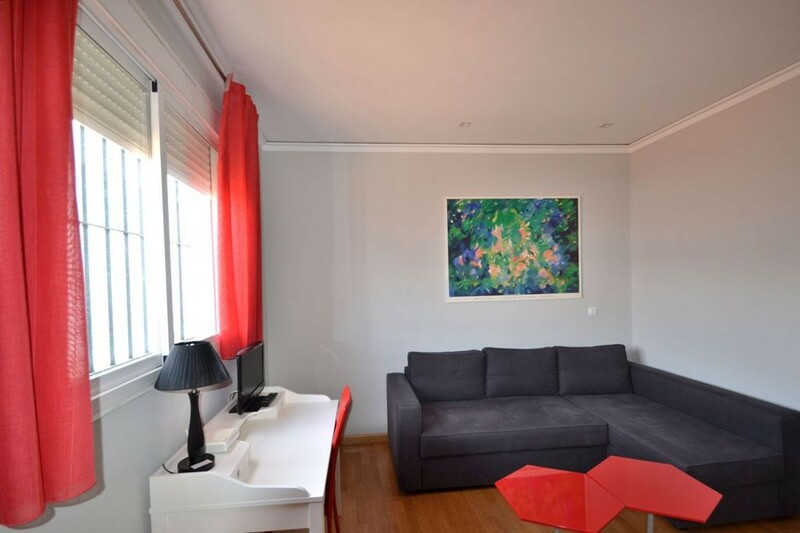 The bright living space includes a double sofa-bed for two aditional guests, a small desk and a coffee table. 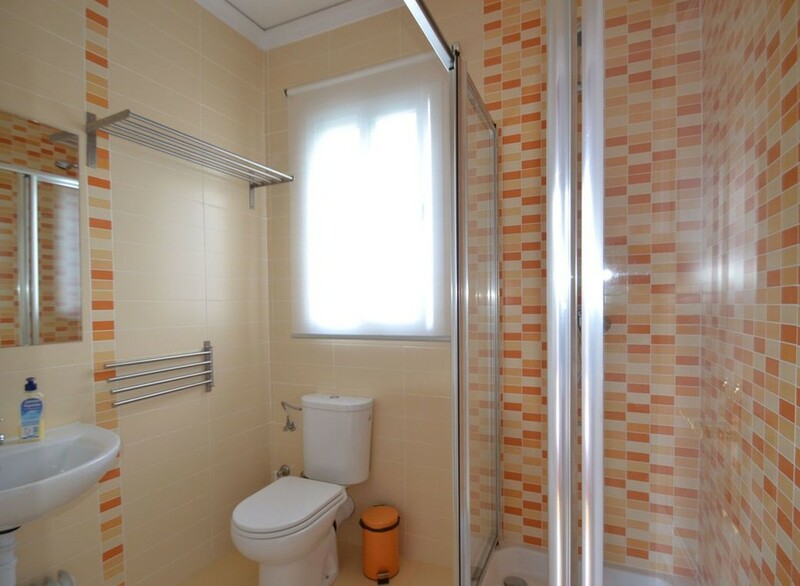 A corridor leads to the bright bathroom with shower, wash basin and toilet. 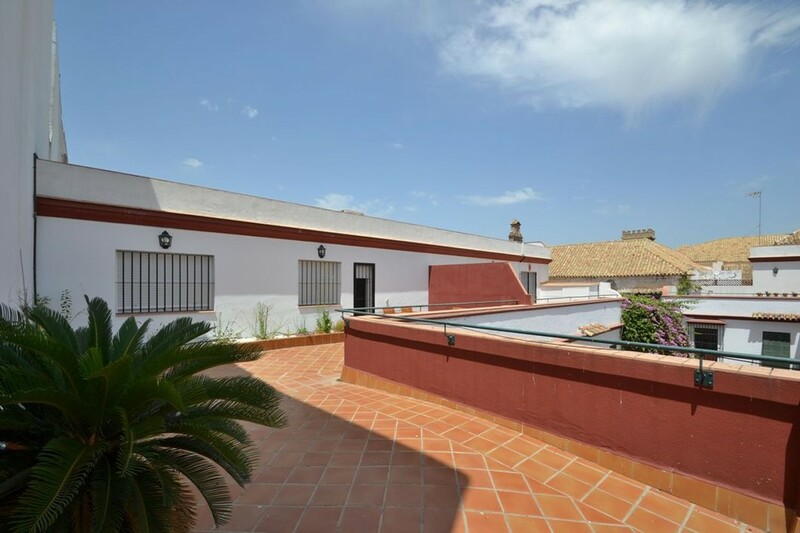 The apartment's large terrace is equipped with outdoor seating and fitted with a watering system for the plants. 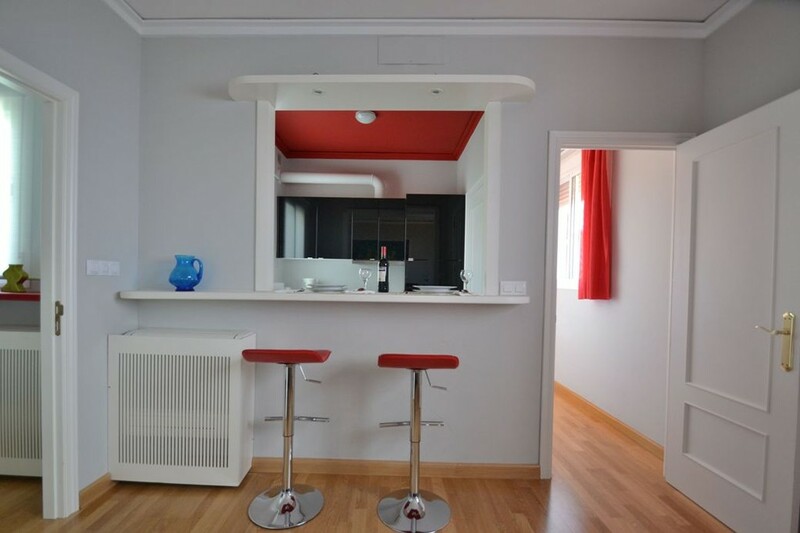 you will enjoy yoour holidays in this nice apartment !!! 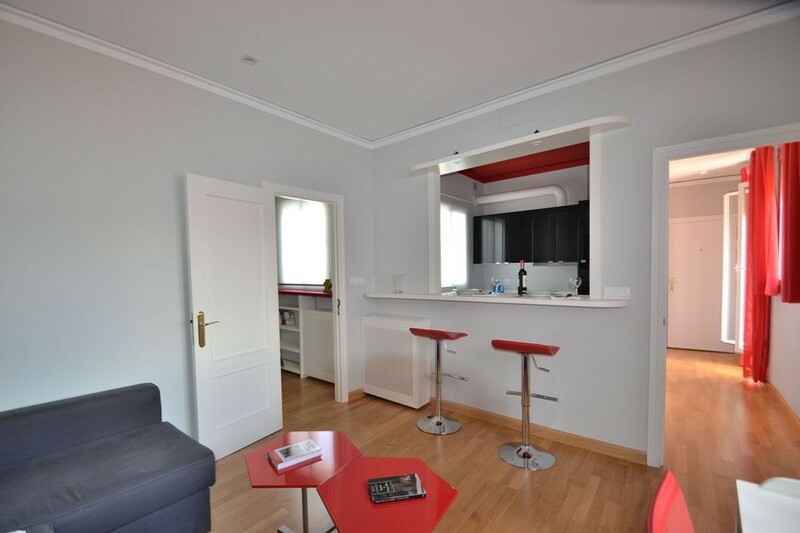 Living room : Desk, Double sofa-bed, ﻿coffee table. 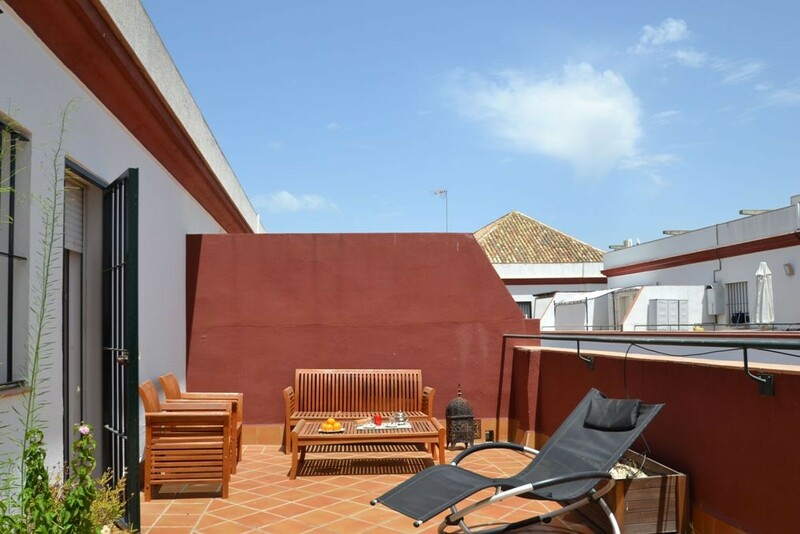 Terrace : Table , chairs , sun loungers, plants.